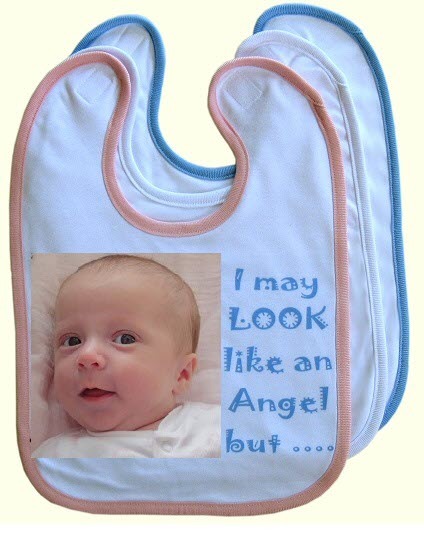 Personalise this unique baby bib with your photo/design and even add text at no extra charge! The bib measures 30 x 35cm. Can be a perfect unique gift/keepsake that noone else will have!